TeckChek Inc., also known as International Knowledge Measurement (IKM), provides talent solutions that help our clients select the right people for the right job, and develop them to their full potential. IKM’s talent solution assessments utilize proven methodologies to ensure our clients can evaluate their candidates and employees in the most cost-efficient and effective way. Combining performance and knowledge-based techniques, our clients can cut the evaluation process in half. Our assessments are designed to address each client’s unique needs and business challenges. From the Candidate List IKM Assessments section, the Administrator can schedule a candidate for one or more assessments from our robust library of Information Technology assessments. 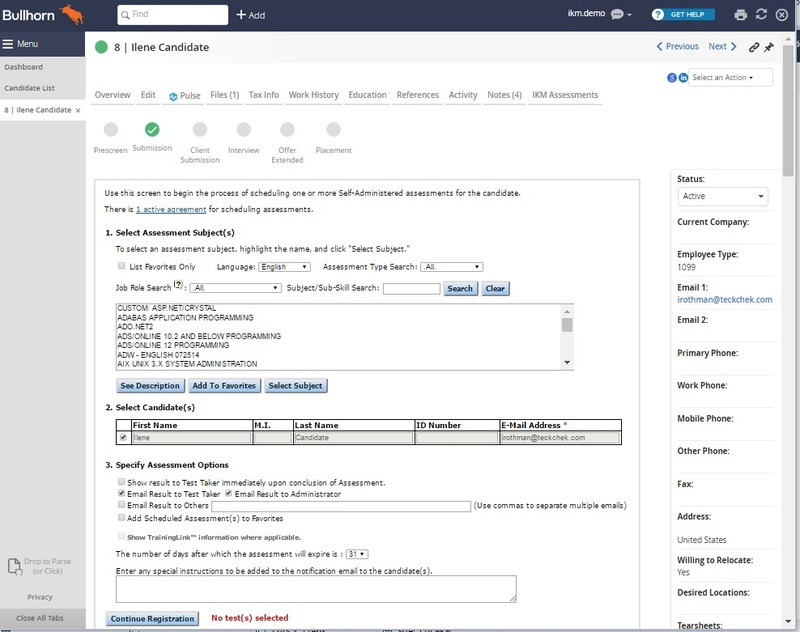 The Administrator has several options in setting up the test link for the Candidate and can determine whether to share the test results with the candidate upon test completion. 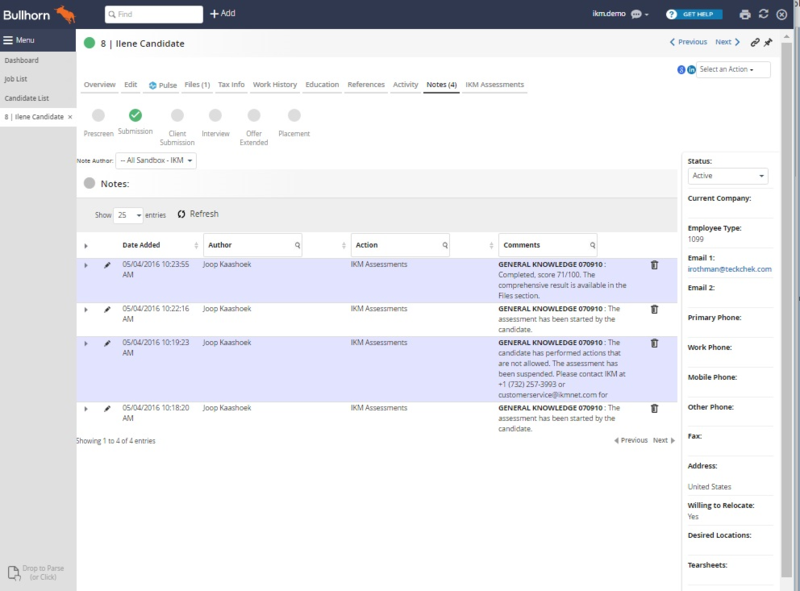 Alternatively, the Administrator can send the results to a third party for review. From the Job List IKM Assessments section, the Administrator can schedule all Candidates considered for the same position for the same group of assessments. 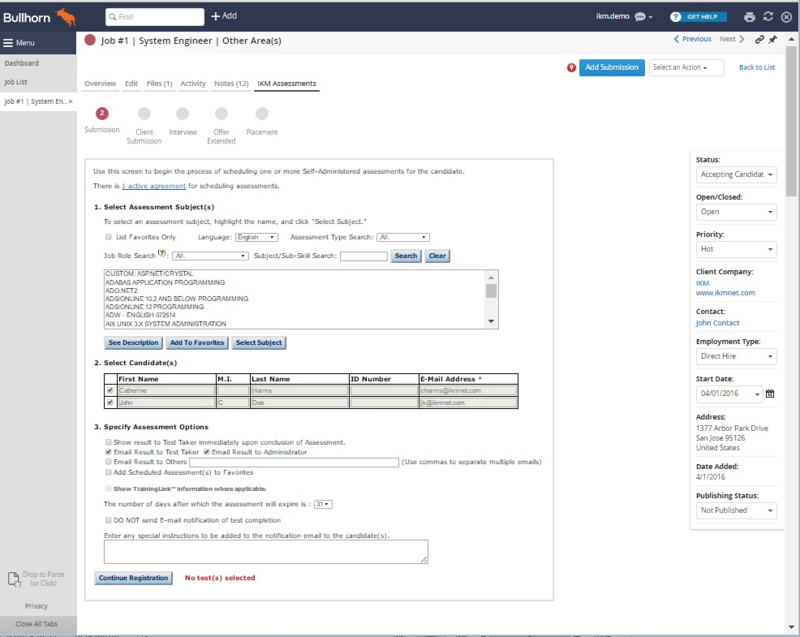 The Candidate’s Notes section allows the Administrator to view the Candidate’s assessment status and results summary. 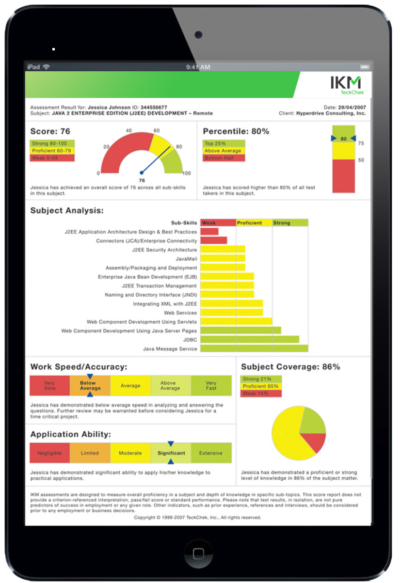 IKM provides a comprehensive Proficiency Profile™ report for each Candidate in the Candidate’s Files section. Unlike a pass/fail certification exam, IKM’s Proficiency Profile™ analyzes in detail the skills and knowledge of the candidate. There is no other solution in the marketplace that can match IKM’s assessment methodology, results, integrity, or flexibility.